Next week, from October 17-19, IFMA will host its World Workplace at the George R. Brown Convention Center in Houston, Texas. With my team, I’ll be joining the best and brightest in the facilities management industry to learn and share new ideas about how we can work smarter. Need a reason to come find us at booth #732 or one of three speaking sessions? Here are seven reasons. Ask Matt Baker and Javid Yamin from the City of Wilsonville about their experience in moving an entire city’s facilities information to the cloud! Find out how to receive $1,000 in free services we’re offering to help Houston facilities team recover. Our team will assess the current condition of the building documentation you use to manage and operate your facility, and provide a ‘Recommendations Report’ that you can share with senior management or insurance claims teams to help you secure recovery funding. Get a live demo to see how to get your as-builts, O&Ms, warranties onto a mobile device, accessible by your whole team. Learn how to be better prepared for emergencies—floods, fires, active shooters. Make healthcare compliance audits and post-audit tasks a snap. 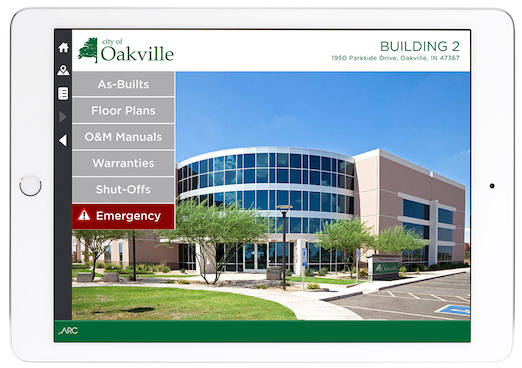 Plan sheets, warranties, O&M manuals, maintenance logs, equipment lists, inspection reports, emergency procedures, as-builts: Do you know where each of these documents is located? Could you find them within 10 seconds? Learn how organizing your critical facilities documents into an effective active archive will boost efficiency and team productivity by creating a single-source for your facilities documents accessible from any device wherever you are at any time. The methods used to manage many of North America’s 10 million buildings are stuck in the past. City, state and federal government facilities teams, as well as school districts and higher education institutions, and hospital and healthcare centers are all challenged with siloed systems, disjointed communications and limited budgets. Up-to-date building information like as-builts and O&Ms are difficult to find, warranties may be expired, and compliance not met. How are mobile apps finally making a break-through? 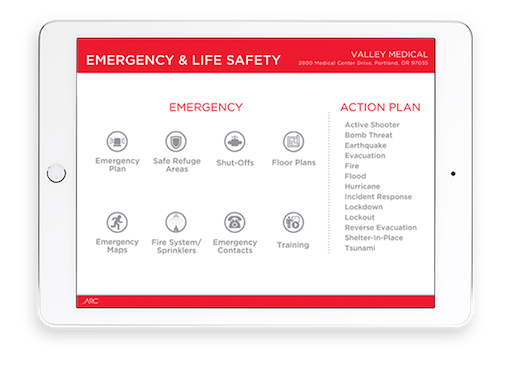 Attend this interactive discussion with industry experts to see how iPad Facilities Dashboard apps are helping teams respond faster to emergencies, increasing collaboration between teams, and improving productivity by 20 percent. 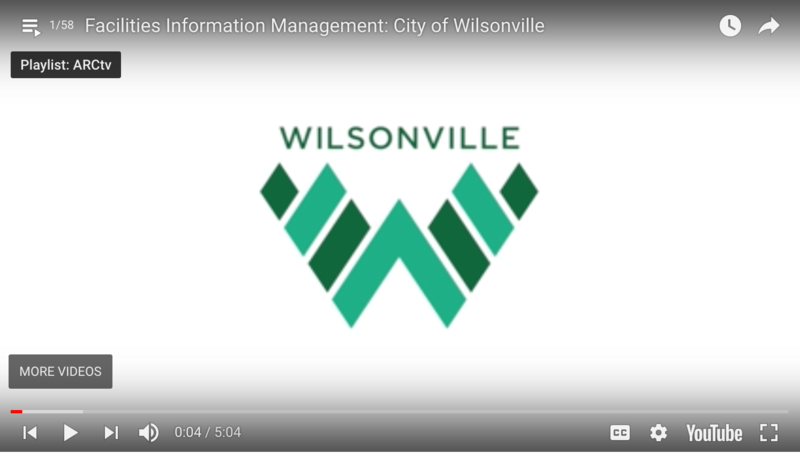 Watch how the City Wilsonville used technology to organize and access their facility documents. Organizing and updating facilities documents is a big job. Who is the go-to person to access those documents? Isthat person available to others? One to two hours a day is wasted by facilities employees searching for the documents they need to do their job. 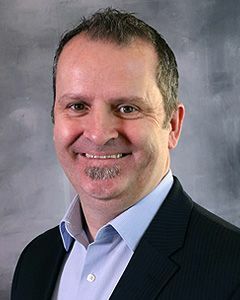 Attend this Q&A panel to hear the City of Wilsonville’s Matt Baker, public works facility supervisor, and Javid Yamin, field manager, re-live the pressing reasons that made them shift to a digital solution. They will share how they now manage all of their buildings’ information via mobile dashboards and how it has changed the way they work — increasing safety, compliance and productivity for the city.